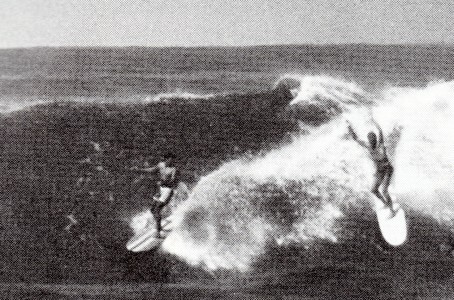 This commentary by Micki Dora is edited from an article Authorative Big and Small Wave Selctions published in Surfing Magazine, early 1968, pages 19 to 25. The images are from alternative sources. No problem is so big or so complicated that it can't be run away from. My whole life is this wave. I drop in, set the thing up and, behind me, all this stuff goes over my back; the screaming parents, teachers, police, priests, politicians—they're all going over the falls headfirst into the reef. 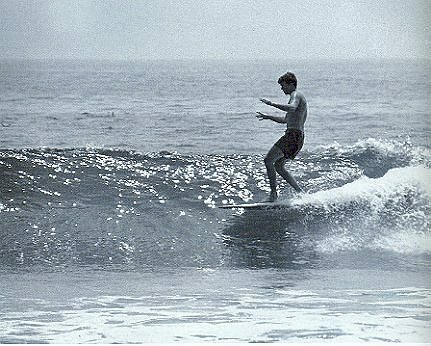 And when it starts to close out, I pull out the back pick up another wave, and do the same goddamn thing. 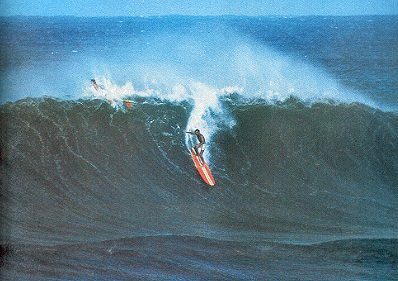 Waves are the ultimate illusion. They come out of nowhere, instantaneously materialize, and just as quickly they break and vanish. Chasing after such fleeting mirages is a complete waste of time. That is what I choose to do with my life. 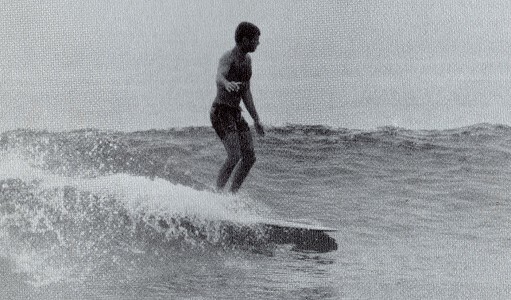 Dora Story #512 : Bob Cooper, as told to Andrew Farrell, editor Australia's Surfing Life. 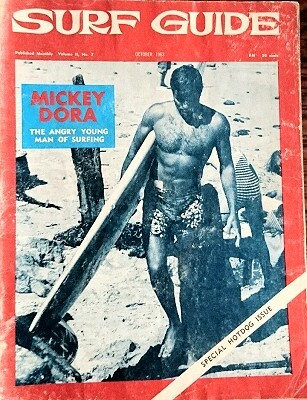 One time he (Bob Cooper) told me this classic Mickey story. Apparently Dora would never show up at Malibu unless it was just pumping. And when he did show up, he'd say something offhand like; "Hey, man, I was over in the Valley and I just knew it was going to be cranking so I came down." The whole crew was always baffled. It was a big mystery as to how Mickey could be so on it and never get skunked. Then one day Bob turns onto the freeway and whoah! ...he just happens to be right behind Dora! After a while they wound up in Malibu and Mickey turned down some little side road beside a house, just poking the nose of his car out far enough to check out the point. 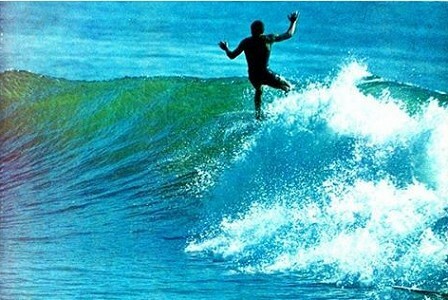 It seems that if the surf was good, then he'd just swing into the carpark. If it was bad, he'd just go home with no one the wiser. 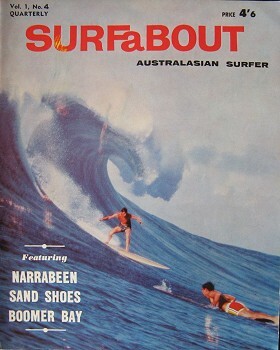 Australian Surfers Journal Volume 3 Number Two, Autumn 2000. Page 68. 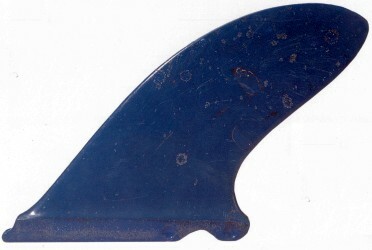 Base tounge and indent to lock into corresponding fin box. 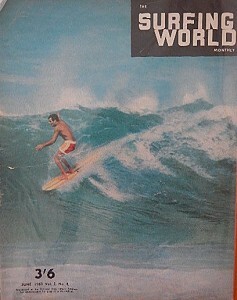 Ride the Wild Surf 1966? 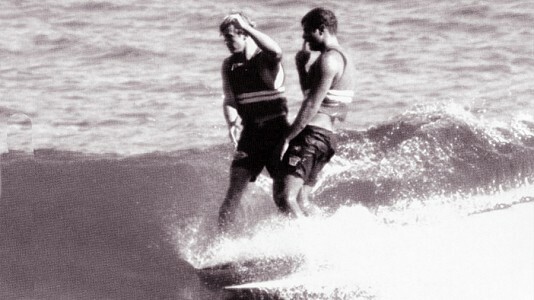 Surfers - The Movie 1994? 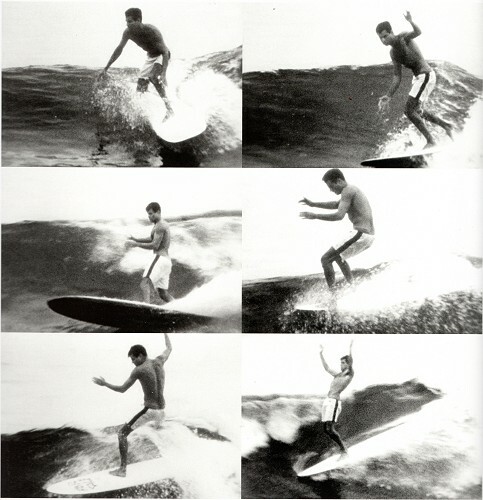 Mickey Dora, sequence from a black-and-white film in 16mm, Malibu, California,1960. Volume17 Number 2 Page 55. June 1981, Volume 22 Number 6 page 41. 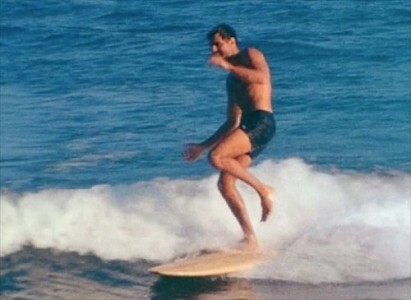 Malibu, circa 1964. 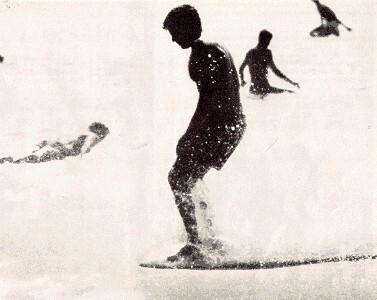 Photo: Bruce Brown. Stern and Cleary (1963) page 57. Feb - March 1964, page 37. 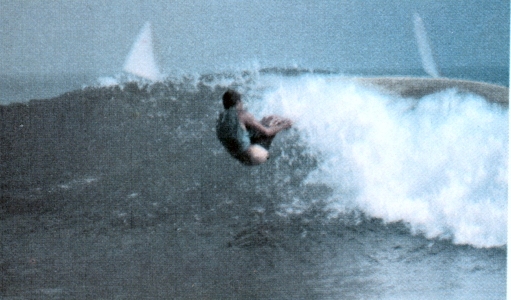 Malibu Left, circa 1963. Grannis, Stern and Cleary (1963) page 98. 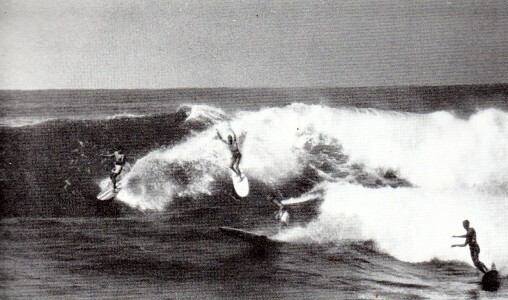 A rare photo of four greats in action at Sunset beach, December 1962. 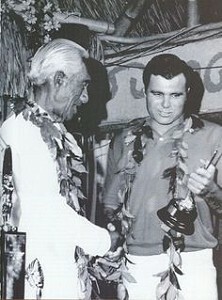 Mike Hansan and George Downing. Grissim: Pure Stoke (1982) page 33. Dora and Johnny Fain, 1. Dora and Johnny Fain, 2. 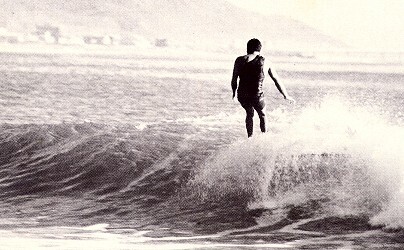 Malibu Invitational Surf Classic, 1967. Volume17 Number 2 Page 68. There is a story about this photograph. 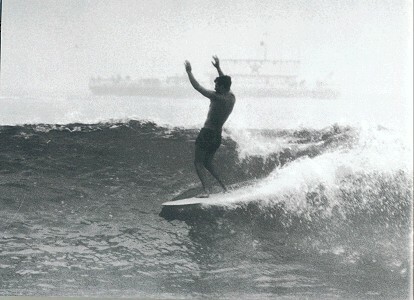 Malibu discipline as administered by Micki Dora, 1969. 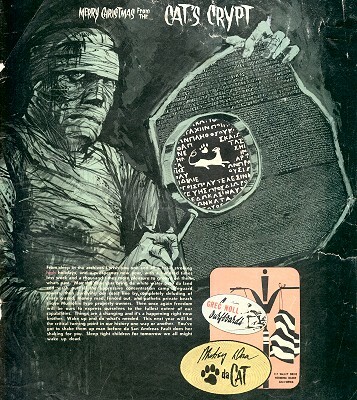 Volume 7 Number 6 January 1967, page 20. Copy courtesy of Graham Sorensen. on the Western Front during World War I.
George Peppard, James Mason, and Ursula Andress. with a hundred times less work and a thousand times more pleasure to groove on them whats past. out, and pathetic private beach clique Mussolini type property owners. Then once again freedom will be ours to express ourselves to the fullest extent of our capabilities. Things are changing and it's all happening now brother. Wake up and do what's needed, this next year will be the critical turning point in our history one way or the other. You've got to shake them up man before da san Andreas Fault does her shaking for you. Sleep tight children for tomorrow we might wake up dead. 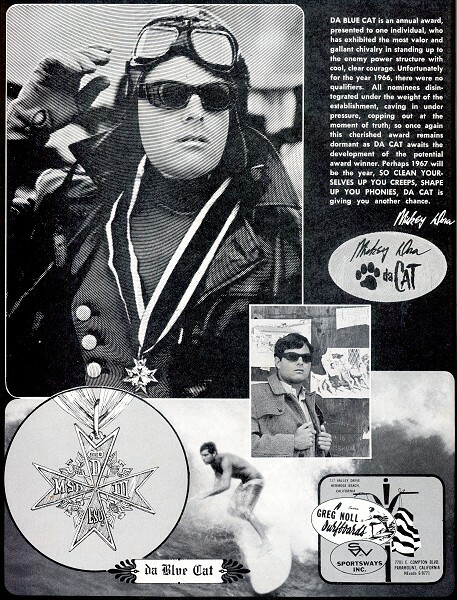 da Cat's Theory of Evolution: Greg Noll Surfboards, 1967. 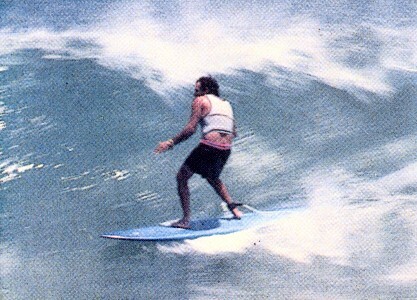 Geoff Cater (2012-2018) : Surfer : Micki Dora.